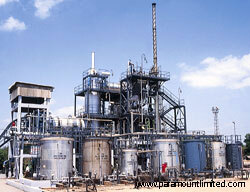 The designs made by Paramount Limited takes advantage of thermal treatment systems custom engineered for incineration of a wide range of industrial hazardous wastes including solid, liquid, sludge, and gaseous waste streams generated by Refineries, petrochemical complexes, pharmaceuticals and bulk drug manufacturing units and chemicals and pesticide units. 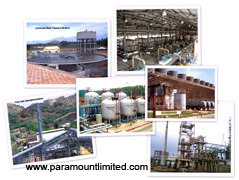 Paramount Limited provides you with a single source of expertise for design, engineering, supply and installation of integrated incineration systems. The incineration systems offered by Paramount are controlled air systems that thermally treat various types of hazardous solid and liquid wastes, sludge. 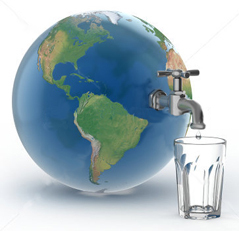 The systems handle waste via a two-stage process. In the primary chamber, the system operates in a sub-stoichiometric mode. Organic materials are heated to a temperature of approximately 750 to 850oC where in organic matter is completely gasified at a controlled Oxygen atmosphere and hence also control possible NOx emissions. In the absence of enough oxygen for complete combustion, volatile gasses are generated for processing in the secondary chamber. The second stage of the process involves oxidizing the products of combustion generated in the primary chamber in an excess air environment in the secondary combustion chamber at 1000 – 1200oC. The resultant gas stream is composed of primarily carbon dioxide and water vapor. Equipment can process waste at feed capacities from 25 kg/hr up to 1,000 kg/hr on an intermittent or continuous basis. Paramount designed incinerators can be paired with custom engineered air pollution control systems for a turnkey environmental solution.